• Individually designed to produce more distance, greater accuracy and solid feel. 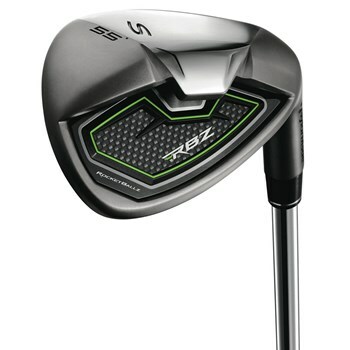 • Two piece construction in 3 through 5 irons for a lower Center of Gravity. • Super thin clubface flexes freely the maximum COR allowed by the USGA. • Toe-Bar construction controls face flex to propel shots on a straight line. • Vibration and sound dampening system enhances the feel and sound of each iron. • Wedges have the TaylorMade ATV sole for versatility and playability from any lie.